One day last summer while wandering around UBC Farm, I spotted someone working on some platform beds covered in plastic, the likes of which I was not used to seeing. Curiously I walked over to take a closer look. What I found was Chris Thoreau and his sunflower sprouts. You may see Chris around the city at various farm markets selling his sprouts, but there is more to him and his company, My Urban Farm. Chris knows food. He has spent many years working in the restaurant industry as well as many more years teaching, learning and farming in Vancouver and Vancouver Island. Chris and his My Urban Farm bring a wealth of knowledge into helping urbanites turn their land and yards into productive food systems – and he can do it with very little environmental impact. 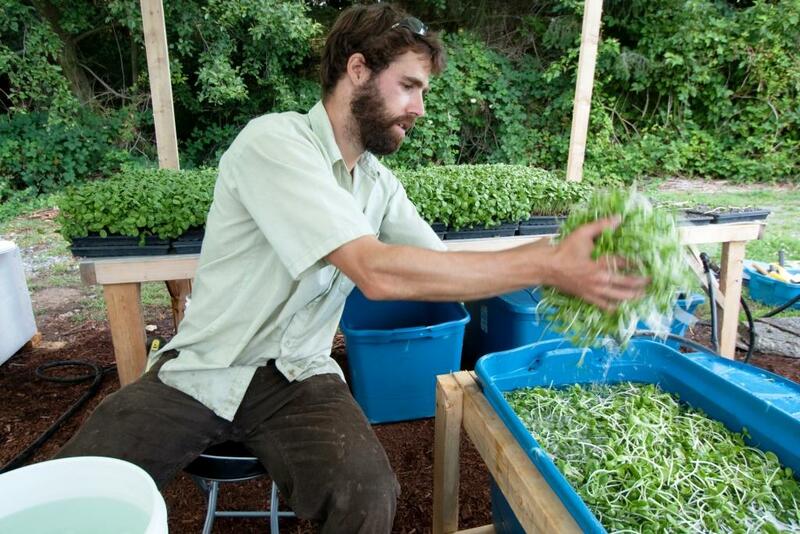 If you see Chris at the next farmer’s market, buy yourself a bag of sunflower sprouts and ask him what he can do to make your garden a great one. Tell us a little about your business, your background and how you decided to become an urban farmer? 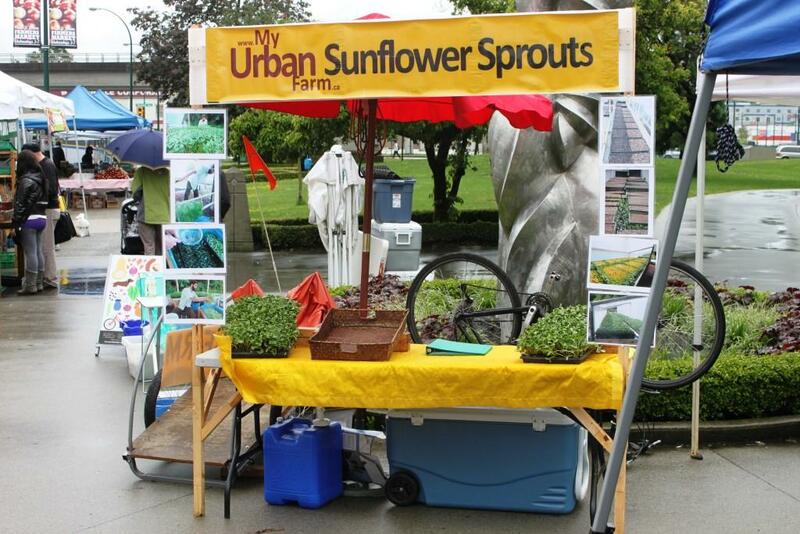 My Urban Farm focuses on growing sunflower sprouts and pea shoots for local markets and restaurants. All production and deliveries are done by bicycle. Previous to this I operated a small organic farm on Vancouver Island. 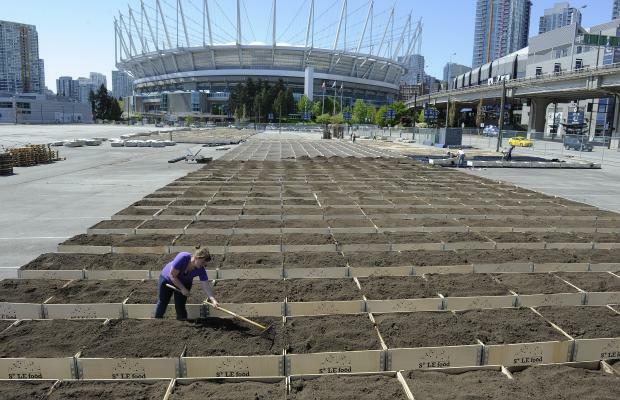 I am just finishing an Agroecology degree at UBC. 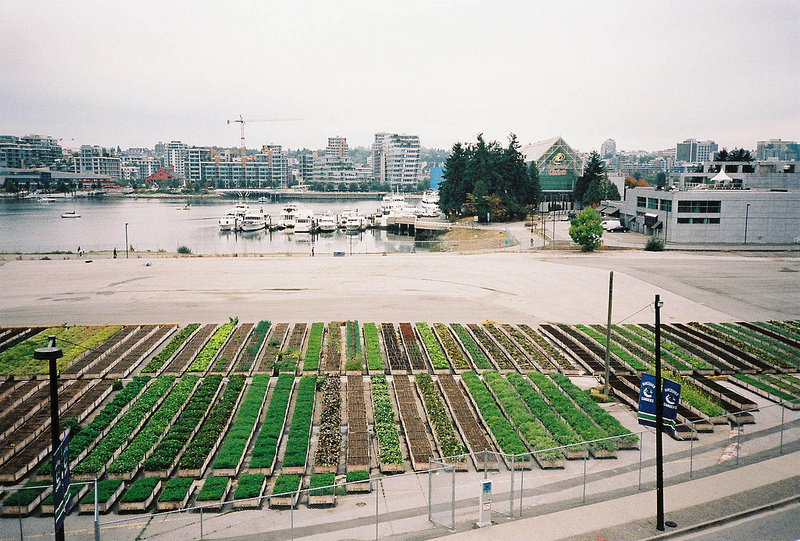 Whilst attending UBC I still wanted to grow food and was thus obligated to be an urban farmer! So I developed this sprouting system to be portable and small-scale, yet still profitable. I am now in my second season. What do you find are the advantages, disadvantages and challenges of urban farming (compared to small scale rural farming)? What do you grow? What is your favourite plant/vegetable/fruit to grow? Why? Sunflower Shoot and Pea Shoots. I like these as they grow on a quick ten-day cycle and can be grown just about anywhere. Plus no one else grows them! When you harvest your produce, where do you sell it or what happens to it? What are your views on today’s food system? 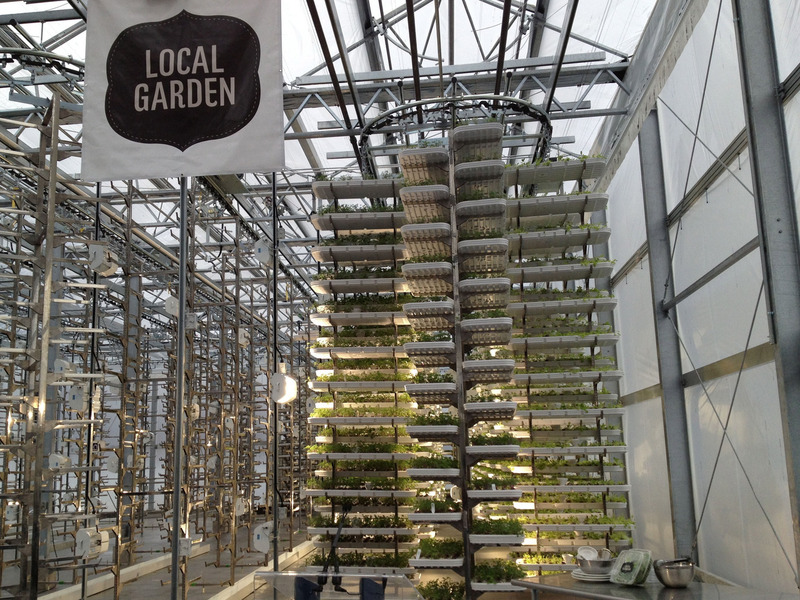 What are your hopes for the future of urban farming? Finally, since this conversation is all about food, what is going to be on your dinner plate tonight? Had urban zucchini stuffed with rice, currants, roasted sunflower seeds, and asiago cheese and steamed urban cauliflower shoots, my own sunflower sprouts, and farmers’ market biodynamic sauerkraut. 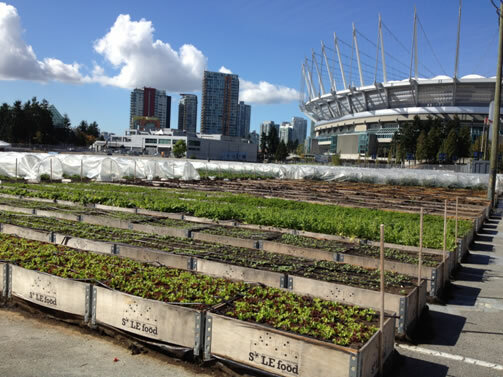 This entry was posted in Uncategorized and tagged fresh sprout, sprout, urban farm, urban farming, vancouver.